Hong Kong is once again the most expensive location in Asia for expats to rent a home, followed by Tokyo, Shanghai and Seoul, the latest research shows. Rental prices for an unfurnished, middle market, three bedroom apartment in areas commonly inhabited by international expats in Hong Kong average US$10,461 per month, over US$2,000 per month more than the next most expensive Asian location of Tokyo. 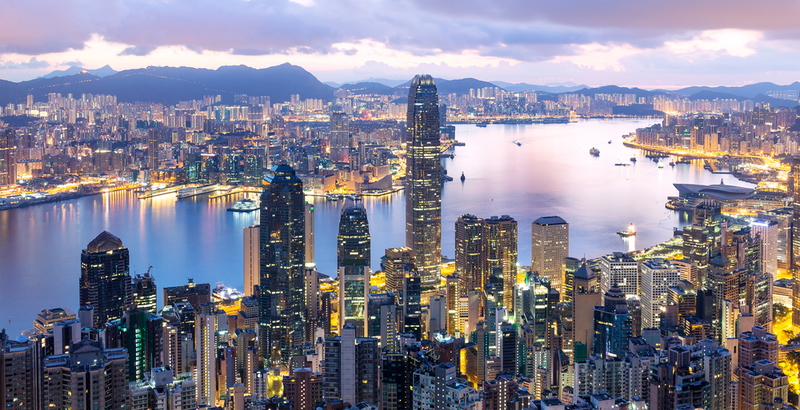 A large population and consistently limited supply of property means that Hong Kong continues to remain more expensive than in other high profile Asian cities, according to the research by ECA International which has been analysing costs for professional expats for more than 20 years. It points out that rents in Hong Kong have risen slightly in the past 12 months but despite this they are still lower than they were in 2012. The research also found that rents are rising in Chinese cities and in Tokyo they increased by 4%. ‘Rents in Shanghai have risen owing to an increase in the number of inbound relocations to the city. This elevated demand in an already tight market has caused the rent rises we have seen in 2018,’ said Lee Quane, ECA International regional director for Asia. ‘However, the fastest rates of increase have been witnessed in the Pearl River Delta where rents have risen in double-digit terms in both Guangzhou and Shenzhen due to high relocation rates to these cities. Supply is yet to match demand for residential accommodation, particularly in western Shenzhen, which has caused rents to increase at fast rates for the past seven years,’ he added. Elsewhere in Asia, Singapore has continued to slip down the rankings as accommodation prices continue to drop. Singapore is now the eighth most expensive, down one place from last year, and down from fourth in 2016. ‘This is due to a slowing of economic growth and a net reduction in inbound assignments, exacerbating the surplus of higher end properties on the market that would normally attract expatriates. This oversupply has reduced average rent levels in Singapore for the past three years,’ Quane explained. In general, the costs of rental accommodation in Asian cities have risen in the past 12 months, with declines evident only in a handful of locations, such as Ho Chi Minh City, Jakarta and Yangon. Likewise, Kuala Lumpur’s fall down the rankings shows no signs of stopping. The Malaysian capital is now out of the Asian top 40 most expensive rental locations and more affordable than places such as Colombo, Sri Lanka, and Kathmandu, Nepal. ‘The property market in Kuala Lumpur has suffered from high levels of speculation over the past couple of years and high levels of new construction. The market is oversupplied, and landlords are having to compete significantly on price to secure tenants,’ Quane said. ‘The domestic economy has not been strong enough to bolster demand for the excess of higher end properties on the market. However, a slowdown in property construction and cooling measures from the Malaysian central bank should see the market stabilise in future years,’ he added. How to select genuine software testing company to work for?